Home » Categories » *What's New! 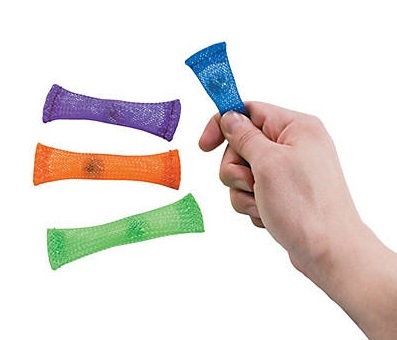 Simply move the marble back and forth inside the mesh tube to relieve fidgets. Quiet fidget toy. Good for finger strengthening. They're great for classroom giveaways and office gifts. Compress and release these 5" tubes to launch them across the room! Also known as 'Chinese finger traps' or 'pocket rockets' these tightly woven plastic fiber tubes are available in assorted bright colours. This brush is designed to be used with the Wilbarger Protocol. 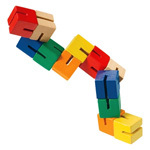 With bumps and grooves, this Tangle provides tactile and visual sensory stimulation making it impossible to put down.